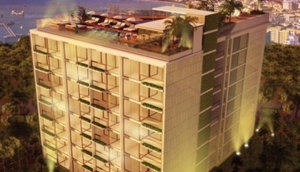 High-rise, low-rise, resort style or apartments mixed with and managed by quality hotels ... you name it, Pattaya has just about every type of condominium available for those looking for somewhere to live or a sound place to invest their money. Pattaya is growing up as well as out. The recent surge of new project launches means that accommodation - both for holidays and longer term - is likely to be in good supply for the foreseeable future.High-rises with great sea views are going up all over the Thailand's Eastern Seaboard around Pattaya; low-rises have not lost their popularity, either. A large number of space-conscious developers are putting infinity swimming pools on the roof of their projects while others still prefer to have the pool on the ground. A few are opting for the best of both worlds and going for high and low pools.Recent trends indicate that large-scale resorts and condominiums combined with hotels are increasingly favoured.Visit Pattaya once and the liklihood is you will want to return. There is no shortage of condominium developers waiting to welcome you if you do.